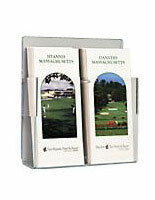 Three Compartments for Displaying Multiple Brochures. 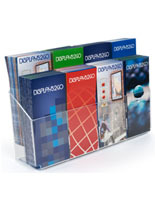 Acrylic Construction is Durable & Affordable. 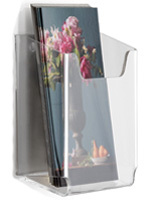 Mounting Tape Provided, but Screws are the Responsbility of the Customer. 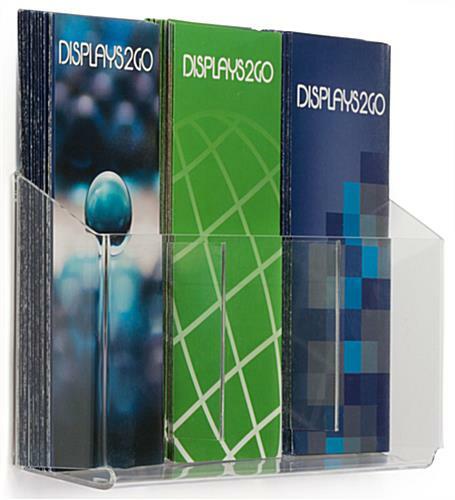 The wall mount 3-pocket flyer rack is an ideal place to place several brochures that promote services or new items. 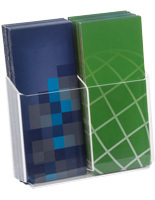 The multiple-bin literature holder will allow for up to three different trifold pamphlets to be placed inside the acrylic display. 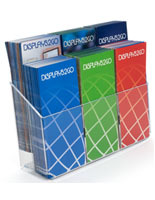 The flyer rack with 2” deep plastic compartments will require less time spent refilling empty slots because it is able to hold so many brochures. 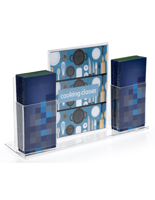 The acrylic display is easily fixed to walls with the included mounting tape or by using customers provided hardware and the back pre-drilled holes on the unit. 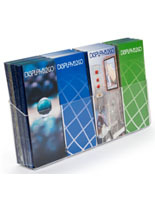 The flyer rack has permanent dividers in place so pamphlets won’t be sliding around the literature holder. 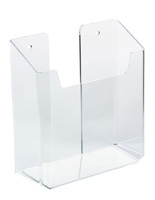 The plastic holder is great for visitor centers, doctor’s offices and businesses in general. 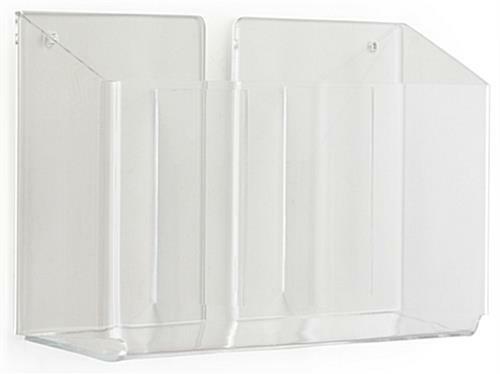 12.9" x 6.0" x 2.3"